"Jacobs are small, horned, black and white sheep. Ewes weigh 80–120 pounds, and rams 120–180 pounds. The sheep are white with colored spots or patches. 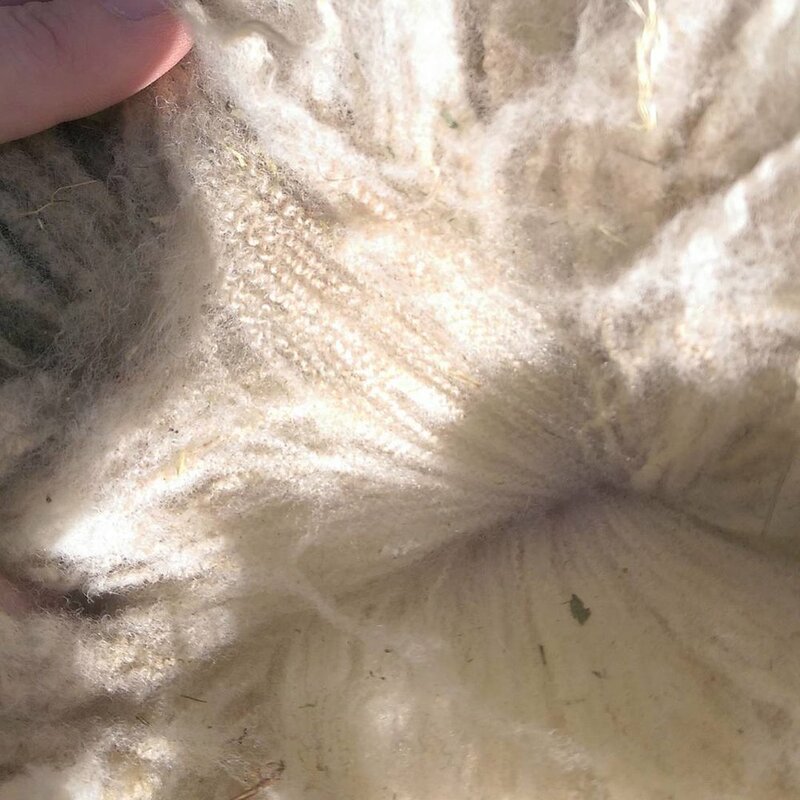 The colored portions of the fleece are usually black, but they can also be brownish or a lighter color called lilac. The Jacob is a multi-horned or “polycerate” breed. Most animals have two or four horns, though six horns also occur. Both sexes are horned, and the rams can have horns of impressive size and shape. The breed produces a medium fleece that is light and open, with a staple length of four to six inches and a weight of three to six pounds. Unlike most other medium wool breeds, quality of the fleece has been a major selection factor in the recent history of the Jacob breed. As a result, it is much sought after by fiber artisans, who enjoy its characteristics and color combinations – black, white, or a blend of the two." Meshach loves his snuggles and obviously, so does Fiona. Shadrach, meshach, and abednego (our 3 wethers) and Dolly and clover (our 2 ewes) just moved into their winter wooded pasture behind the barn. In the summer, we let them free range (supervised) to give us an excuse not to mow. Dolly and Clover have been digging into the hay! They love the Tiger Stick (Japanese Knotweed) that is an aggressive invasive taking hold on our property. Taking the sheep for their shearing! And ice cream! The sheep enjoying the Christmas greenery after the holidays were over. 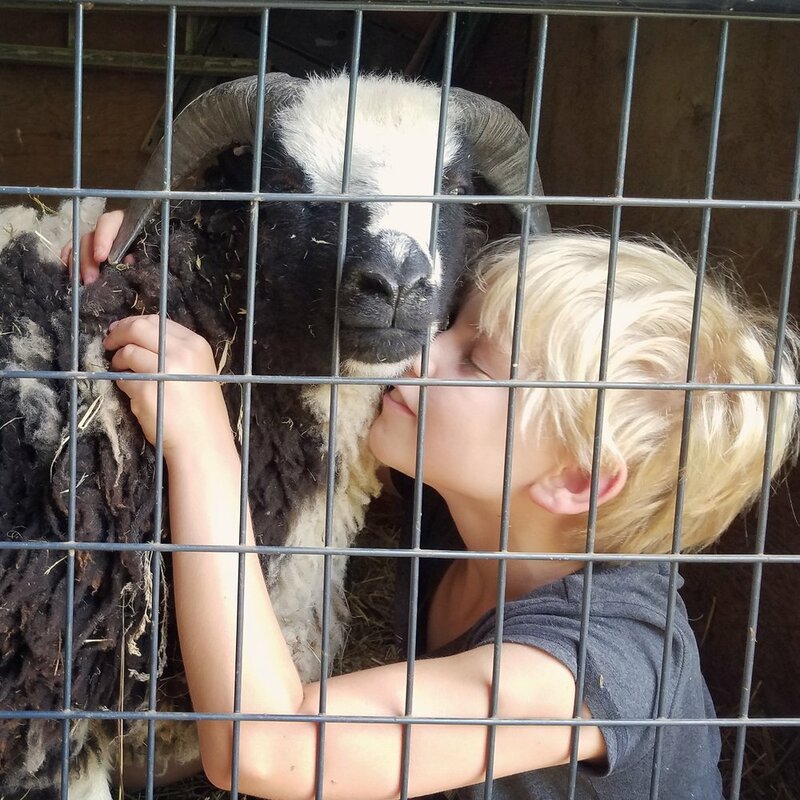 Ballyhope farm is working to save endangered livestock breeds. Our ram flynn with his winter passenger. meshach gives you a kiss! Fiona taking Meshach for a walk.